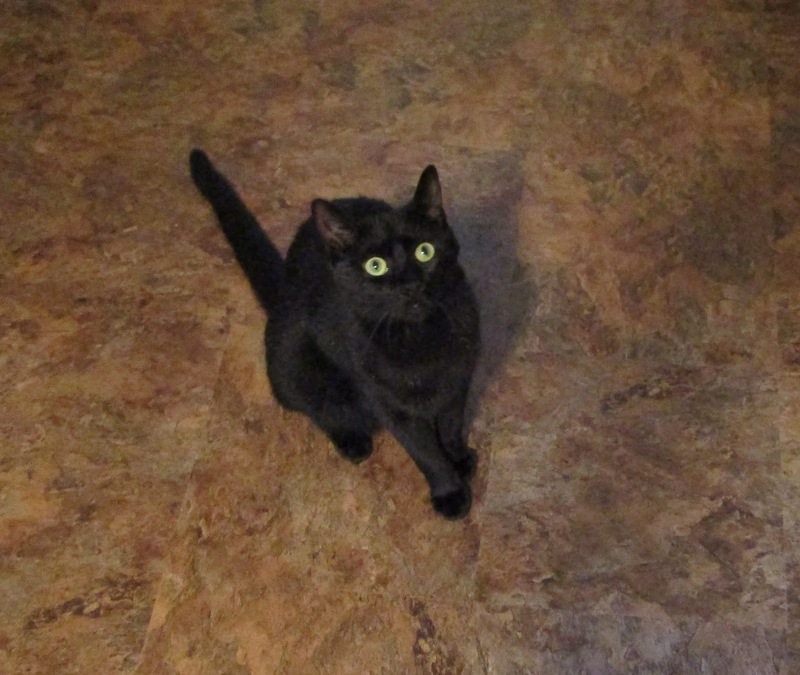 It's hard to believe, but the youngest of the new kittens, Harry Dresden, turned one today. (The other two are a couple of months older, they think, but no one knows exactly when they were born because they came from a 25 cat hoarding situation.) Theoretically, this means they're not kittens anymore, but if you could see them racing around like maniacs and bouncing off the walls, you'd know that's not true. The first day I met him. That's my coat he's curled up in. 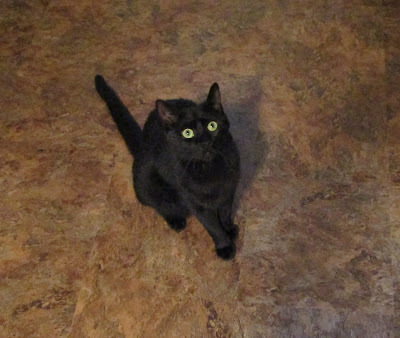 It's hard to believe I've had Harry since January--this is a picture of him the first day I met him, when I went to where he was being fostered to see if he was the cat I asked Magic to send me. When he curled up on my lap and fell asleep, I was pretty sure he was. He's really sweet--the most affectionate of the three, although like most cats, only when he's in the mood. He's also the only one who consistently sleeps with me, although sometimes I have to go fetch him and remind him that's his job. To celebrate Harry's birthday, I decided to give my readers a gift. For those who haven't read it yet (gasp! 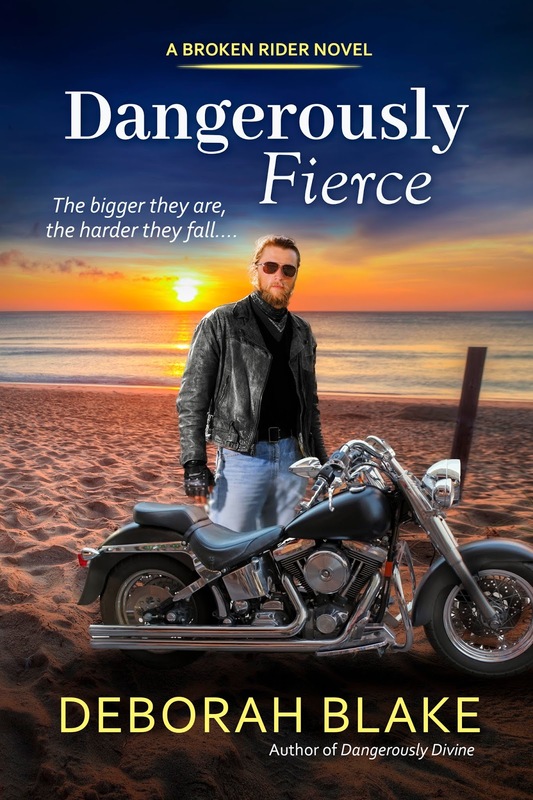 ), I've put DANGEROUSLY FIERCE on sale for the next week. It's normally $7.99 (to match the price Berkley set on the ebooks they put out) but for now, it is only $2.99! So if you've been waiting to get it, now's your big chance. It's available at all the usual ebook retailers.